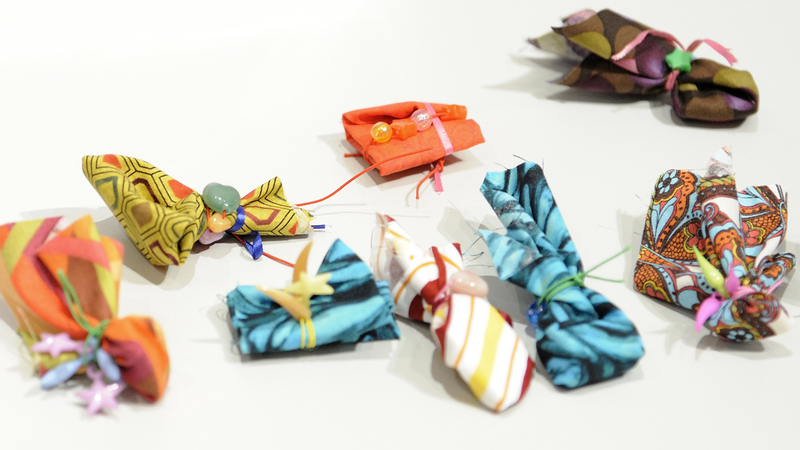 In cultures around the globe, people create amulets and other personal expressions of prayer. 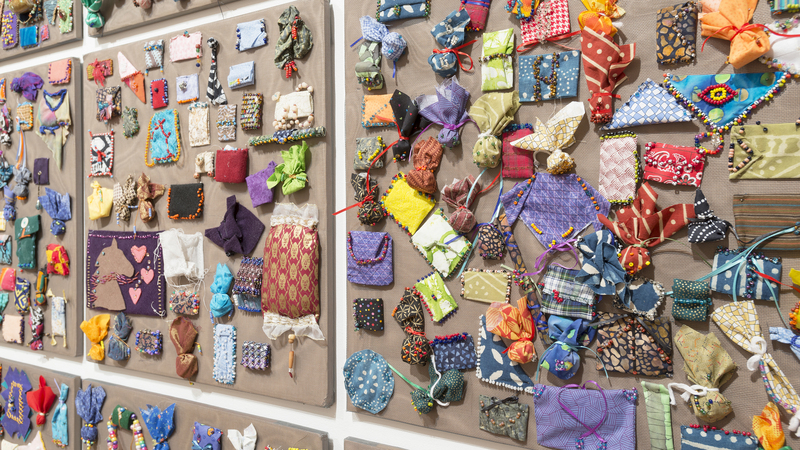 Initiated by artist Sonya Clark, this interactive exhibition invites visitors to contribute their own beaded “prayer packets” to a community-driven art installation that celebrates diversity and unity. 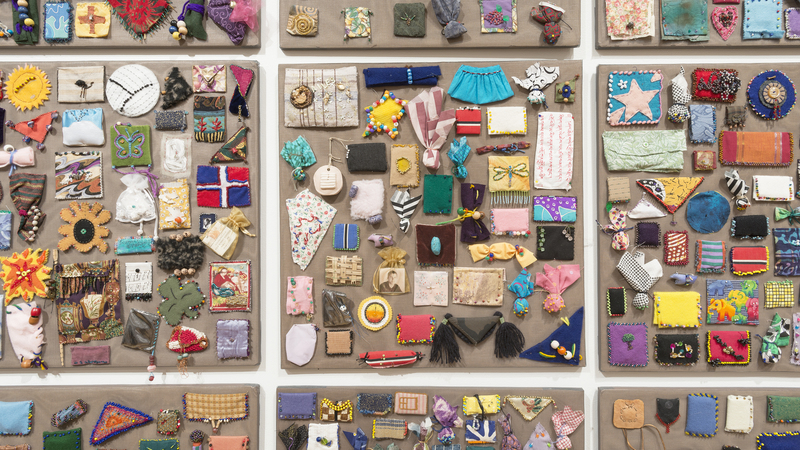 Museum members are invited to preview Beaded Prayers Project on Friday, June 7, 11 AM–5 PM. You can join or renew a membership online or call Danielle Tyson at 202-994-5242. 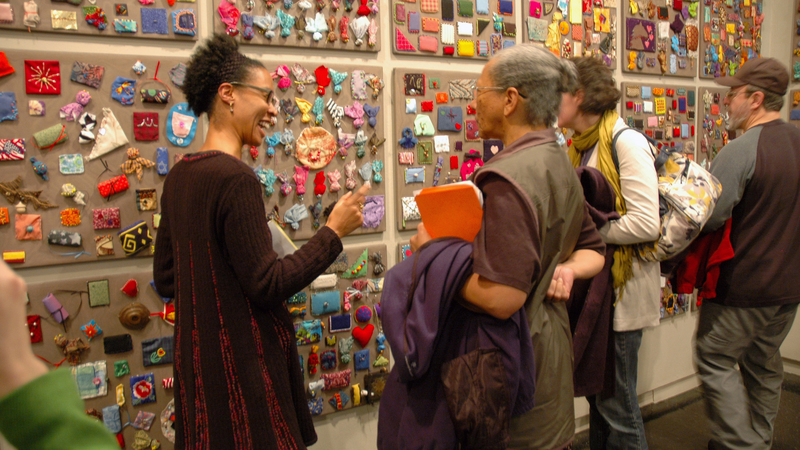 Artist Sonya Clark (left) with the Beaded Prayers Project. Photo courtesy of Sonya Clark. A visitor creates a beaded prayer packet for the exhibition. Photo courtesy of Sonya Clark. Beaded Prayers Project. Photo courtesy of Sonya Clark. 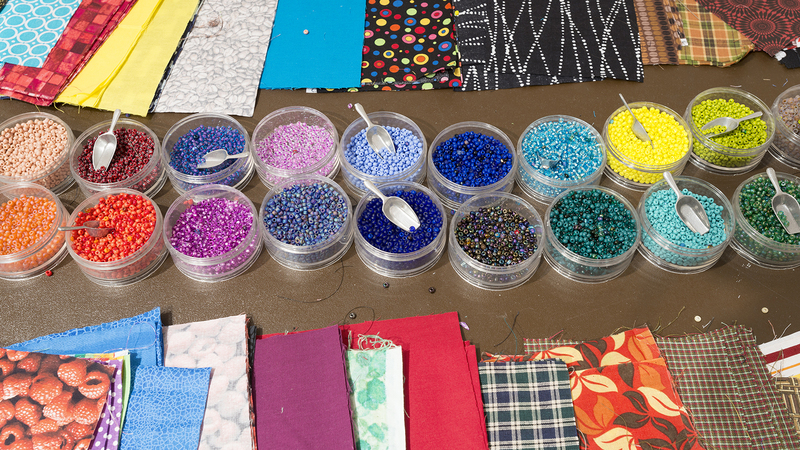 Visitors can use fabric and beads to create their own beaded prayer packets. Photo courtesy of Sonya Clark. 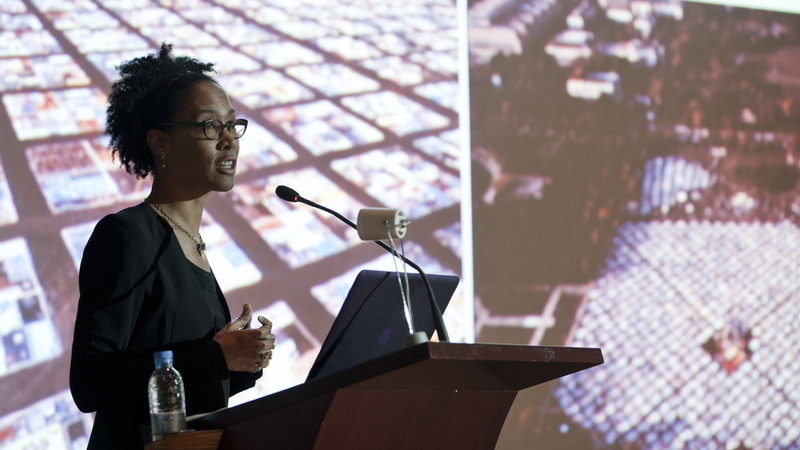 Artist Sonya Clark gives a talk about the Beaded Prayers Project. 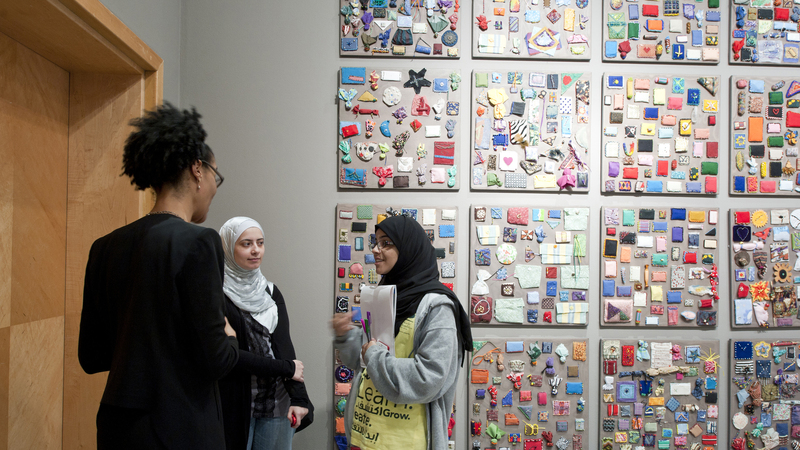 Photo courtesy of Sonya Clark.